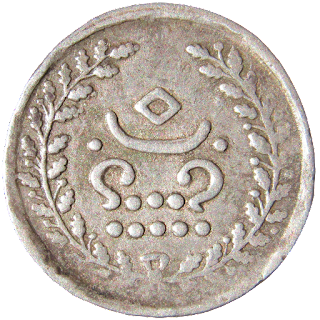 Chuckram within a large crescent above vishnupadam that is represented by two curved lines and 10 pellets (for the toes). 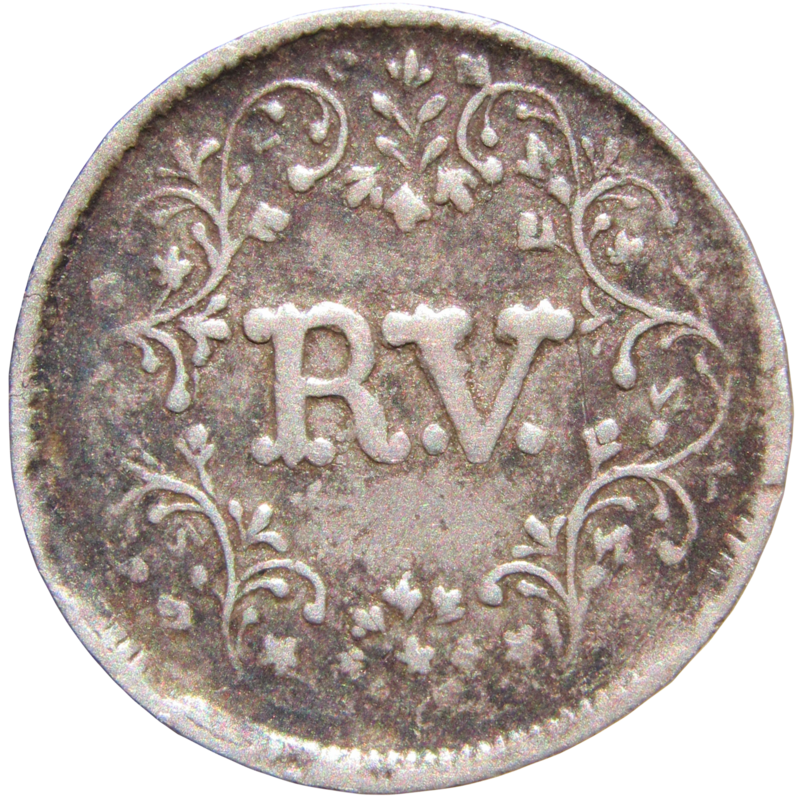 RV, the initials of Majaraja within a wreath as in British India Coinage. 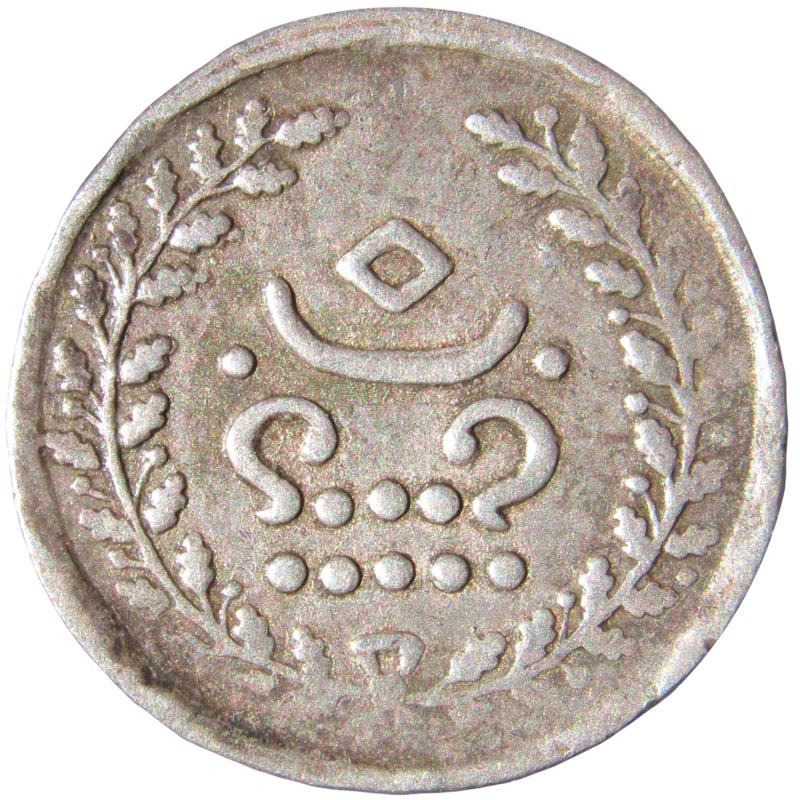 First Machine stuck coin of Travancore. Introduced in 1039 KE ( 1864 AD ) by Maharaja Ayilyam Tirunal Rama Varma. 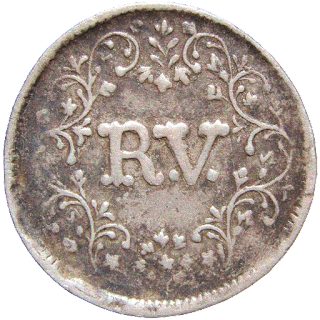 There were a minimum of four varietes of these coins according to Beena Sarasan. This one is similar to the type 2 of #151 of book Traversing Travancore through the Ages on Coins by Beena Sarasan.